Well, things are off to a great start! 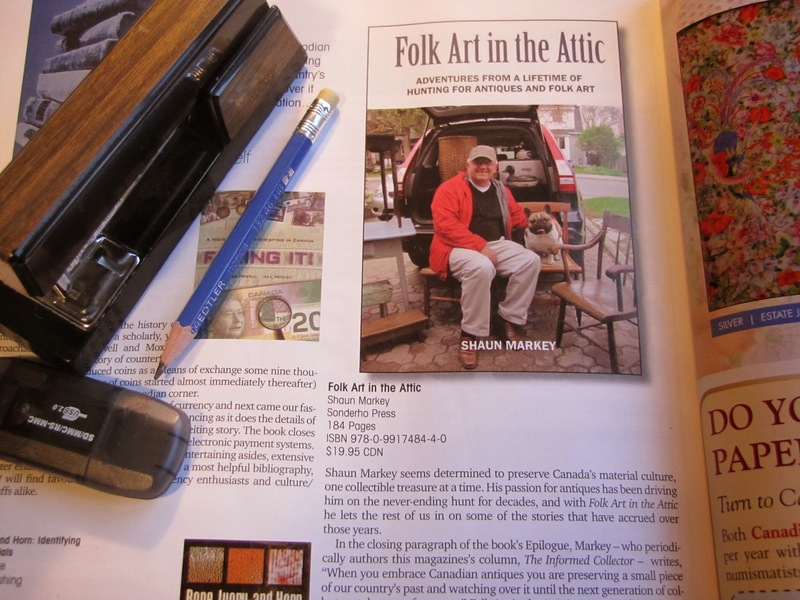 Canadian Antiques & Vintage magazine included a very positive review of my book, Folk Art in the Attic, in their most recent issue. In fact, they made it their featured book of the month! The book is now available to order from Chapters / Indigo.ca, Amazon.ca and Barnes and Noble.com. The book can also be ordered via this blog. Please note the order widget in the right hand column at the top of the page.